Enter our Teacher Appreciation Giveaway! Do you Need a Tax Pro? Not everyone has a big cushy salary. Plenty of folks out there work hard just to make minimum wage. Or maybe you make a decent salary but have suffered financial setbacks due to emergencies. I get it. Even providing the basics for a family can be expensive! But that doesn’t mean you can’t save money for a comfortable future. I’ll show you how! Typically, I talk about investing in percentages: I recommend contributing 15% of your gross income into tax-advantaged retirement accounts—like a 401(k) or an IRA—so you can retire comfortably. 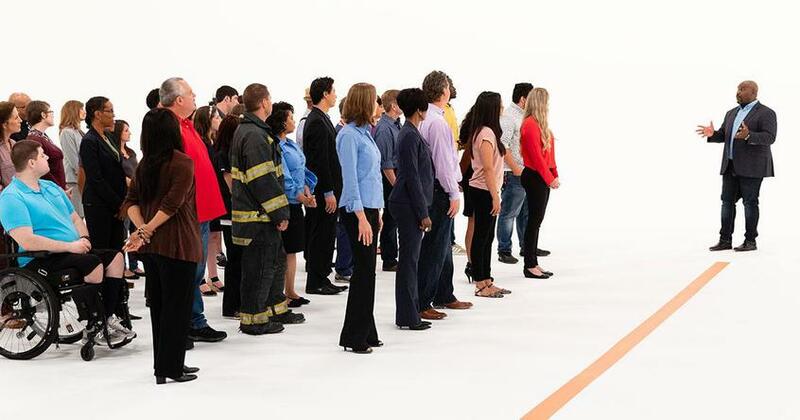 Everyone’s 15% is different and may be big or small depending on your salary. But what if I broke it down into a number that’s easy for you to relate to—a figure that could easily cover a dinner out or a week’s worth of daily super-sized lattes? In 20 years, you could retire with $110,000 to $150,000. 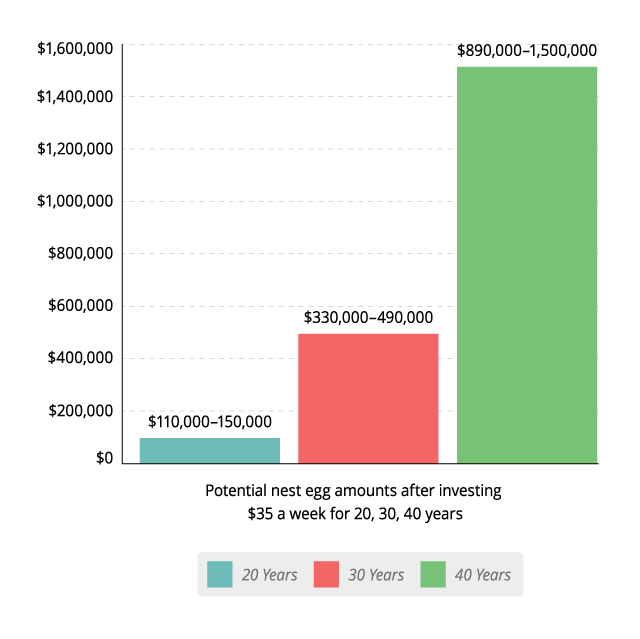 In 30 years, you could retire with $330,000 to $490,000. 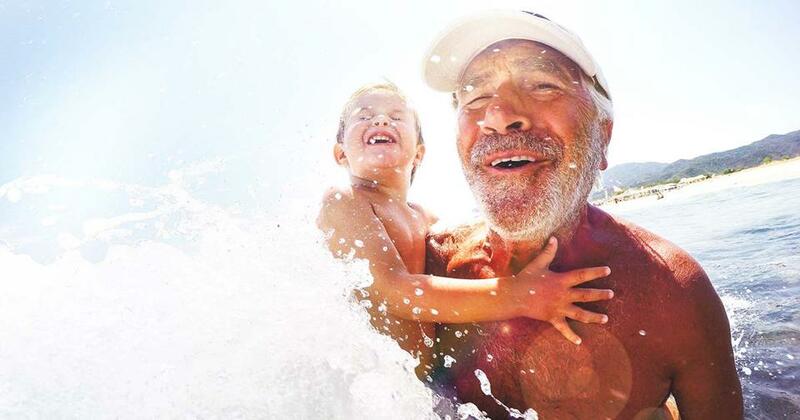 In 40 years, you could retire with $890,000 to $1.5 million! Keep in mind that this example doesn’t figure in annual pay raises. You’re likely not stuck at today’s income forever. 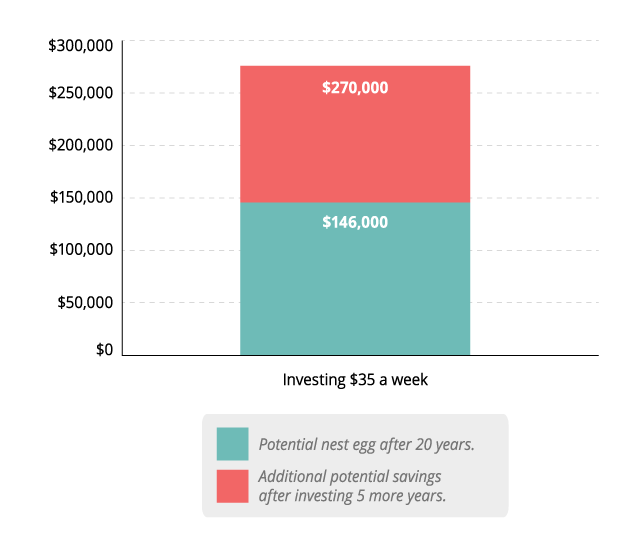 Imagine how your nest egg could look if you increase your contributions as your income grows! Don’t Have 40 Years to Invest? That’s okay! It just means you’ll need to roll up your sleeves and give it everything you’ve got in the time you do have. Here are some ideas to take your retirement savings to the next level. Pick up the pace. Supercharge your retirement savings by bringing home a little extra bacon and rolling it into your nest egg. If you doubled down and contributed $70 a week, you could retire with $230,000 to $290,000 after 20 years and $660,000 to $980,000 after 30 years. You could almost hit that $1 million mark by working a little more. Work a few extra years. 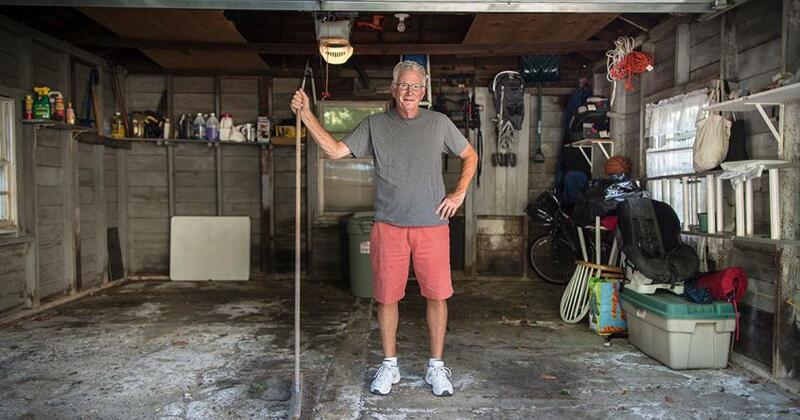 There’s no rule that says you have to retire at 65. 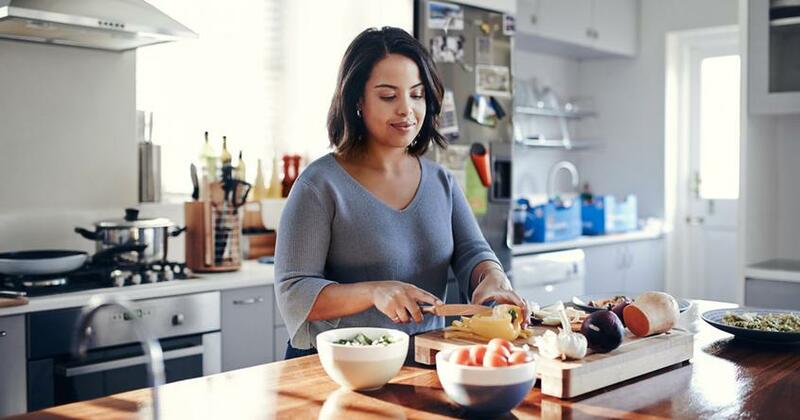 If you’re 45 years old, adding five more years to your timeline could boost your savings to $200,000–270,000 if you continue to contribute just $35 a week. Pay off your mortgage. This is a big goal, but think about how much further your money could go without a mortgage hanging over your head! It might mean sacrificing a bigger home or being more frugal with vacations, but the payoff will be worth it in the long term. Now that you know the difference $35 a week can make on your future, let’s talk about how to get the most bang for your investing buck. Clear your financial plate. You should be debt-free (except for your home) with a fully funded emergency fund before setting anything aside for retirement. Killing your debt is the only way to free up your biggest wealth-building tool—your income! Choose wisely. Put your money in good growth stock mutual funds with a long history of above-average returns. I recommend spreading your investment dollars evenly across four mutual fund categories: growth, growth and income, aggressive growth and international. To learn more about using mutual funds to build wealth, check out my new book, Everyday Millionaires. Stick with it. Your retirement fund is not a short-term investment. It’s likely the only money you’ll have when you leave the workforce, so be careful with it! 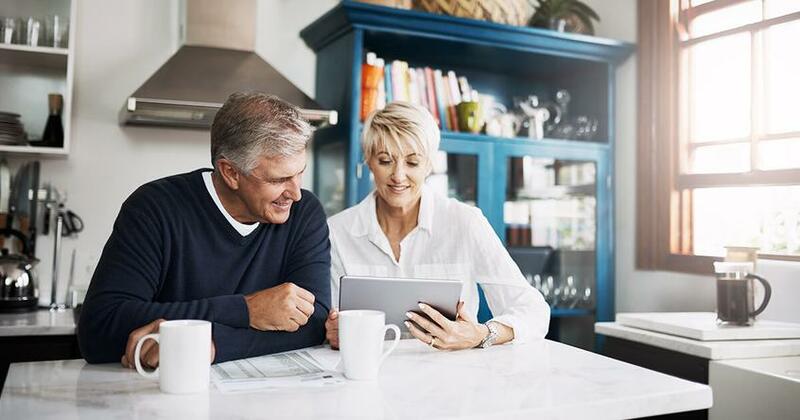 Consider it off-limits until you retire, and don’t let a temporary downturn in the market scare you into making a poor decision that could hurt you in the long term. You don’t have to bring in big bucks to win with money! And regardless of whether your income is large or small, talking to a professional can make a huge difference in reaching your retirement goals. So sit down with an investing pro and look at your options. A pro will explain their recommendations in terms you can understand so you can decide how to invest your hard-earned dollars. Don’t know where to start? Discover investing professionals in your area. Chris Hogan is a #1 national best-selling author, dynamic speaker and financial expert. For more than a decade, Hogan has served at Ramsey Solutions, spreading a message of hope to audiences across the country as a financial coach and Ramsey Personality. Hogan challenges and equips people to take control of their money and reach their financial goals, using The Chris Hogan Show, his national TV appearances, and live events across the nation. His second book, Everyday Millionaires: How Ordinary People Built Extraordinary Wealth—And How You Can Too is based on the largest study of net-worth millionaires ever conducted. You can follow Hogan on Twitter and Instagram at @ChrisHogan360 and online at chrishogan360.com or facebook.com/chrishogan360. How Many Millionaires Are in the U.S.? Do you know how many millionaires are in the U.S.? It may surprise you to learn there are everyday millionaires living all around us—and you might be next! Becoming an everyday millionaire is as simple as living a modest lifestyle that follows a few basic principles. You don't need magic to enjoy a big, beautiful future. Build it on your own with these three steps. I've got good news for you. You can become a millionaire—and it has nothing to do with your family's money or your education. It has everything to do with you. Ask your financial advisor the right questions with our free interview guide. Work with an investing pro and take control of your future. Your guide is on its way to . Next: Start Your Year Off Right!